Home Best Practices HR Can Procurement Hire Without a Resume? Procurement departments everywhere are looking to refine their approach to recruiting and retaining talent. Luckily for them, the market is crowded with more qualified young professionals than ever. Boasting degrees in Supply Chain Management and an innate familiarity with emerging technologies, they promise to drive the function into its next era. The market for talent is so crowded and so competitive, however, that organizations can easily grow overwhelmed. Attempting to navigate the market alone, they soon learn that hunting for top-notch hires means developing practices that balance both careful and aggressive behaviors. It's clear that the old ways of hiring and recruiting are no longer sufficient for building a world-class Procurement function. The resume, for example, is one standby that's growing far less essential. In the fast-paced fight for leading candidates, Procurement departments risk a lot when they devote resources to assessing resumes. They risk even more when they let these documents alone drive their interview process. Leveraging the services of a Procurement recruiter is a great way to start taking the application "off-paper." 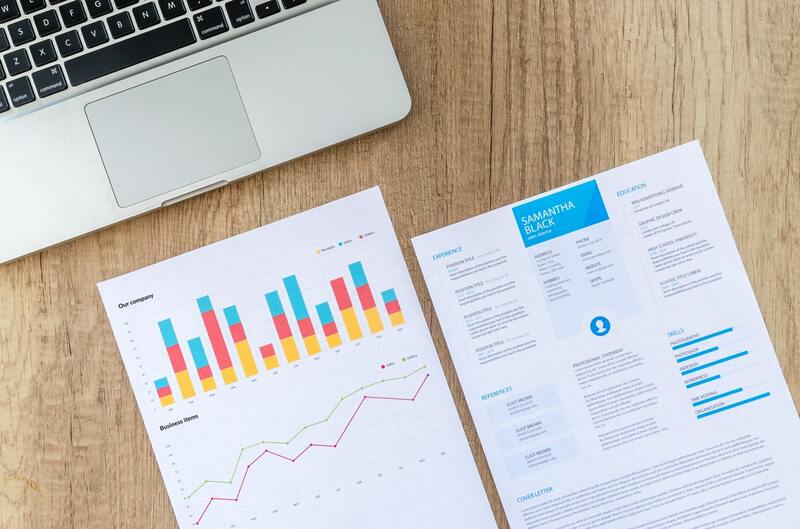 These experts can take a deeper look into your most promising applicants, engage them directly, and sell them on the benefit of a career with your organization. They'll start the hard work of digging into the resume. Asking the client to bring their experiences to life, they'll empower you to conduct more illuminating interviews and - ultimately - make more informed hiring decisions. Even without additional help, however, Procurement's hiring managers can start rethinking their approach to applications. Here are some of Source One's tips for making a resume more than words on a page. Any good resume paints a picture of the applicant's work history. Unless the candidate is terribly mismatched to the position, hiring managers should be able to infer what's brought them to this stage. That doesn't mean you shouldn't ask. It's important to learn what made an opportunity with your organization stick out. A candidate's enthusiasm and prior research won't reveal themselves on a resume. It's up to you to assess these to determine who'll bring the most energy to your Procurement team. These are the qualities that can set one educated and experienced applicant stand out from the pack of similarly qualified individuals. Even exhaustively detailed resumes are sometimes light on valuable information. While just about every candidate will list their daily tasks and responsibilities, few discuss successes and failures in detail. Ask the candidate to describe the results of their efforts. A promising Procurement professionals will speak to concrete, demonstrable achievements. They'll also openly describe instances in which they were not successful. Pay particular attention during this portion of the conversation. Great supply chain managers are solution-oriented. Rather than dwelling on the negative, they'll describe what the experience taught them and detail the strategies they employed for recovery. Validating an applicant's references is one of the first steps a Procurement recruiter will take. Anyone who makes it to the interview stage presumably comes highly recommended by past employers and peers. That doesn't mean hiring managers should take a hands-off approach to this process. Checking back in with past employers can provide valuable insights into an applicant's work style, personality, and intangible qualities. The most experienced candidate on the planet won't do your Procurement team any good if they're a poor culture fit. A brief conversation with past employers can give you a sense of how the candidate functions in a practical sense. What's more, the discussion should provide fodder for your interview. Need some help building a world-class Procurement function? Reach out the staffing and recruiting experts at Source One today.